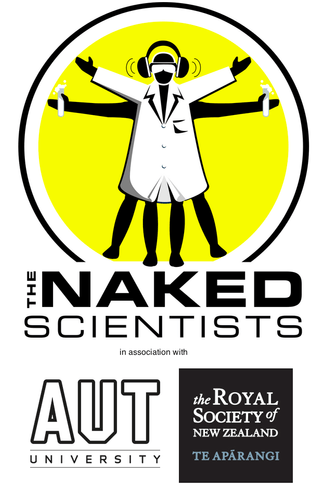 Attend a special live event featuring Dr Chris Smith, the founder and host of the hugely-popular podcast The Naked Scientists. Radio New Zealand National, and BBC Radio 5 Live’s ‘Naked Scientists’, are producing two lively one-hour shows in Auckland and Wellington, co-hosted by Dr Chris Smith and This Way Up’s Simon Morton. The show, in front of live audiences in both Auckland and Wellington, will include live demos and discussions with some of New Zealand’s leading scientists, with the usual Naked Scientists twist. Both events are free and open to the public, but register below to ensure a seat! For more information follow @upthisway on Twitter. Listen to some of the previous podcasts from The Naked Scientists. The live shows are held in conjunction with AUT University and the Royal Society of New Zealand’s Science Media Centre.